These beautiful Cambria Quartz Countertops were completed by the Stone Center for Jon & Liz H. of New Ulm, MN. 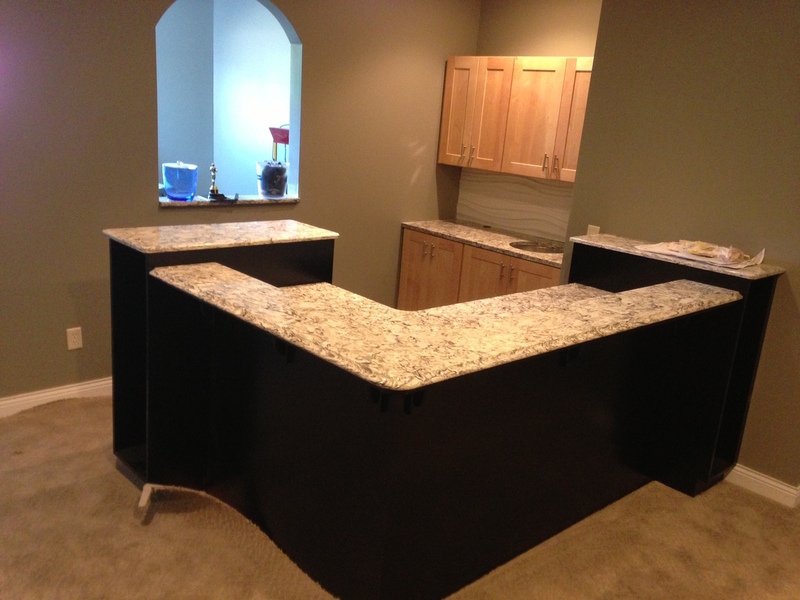 They chose Cambria Bellingham for the wet bar in the lower level of their home. Quartz is virtually maintenance-free – it doesn’t need to be sealed and cleaning is a cinch. It is one of the hardest, most abundant minerals found in nature. 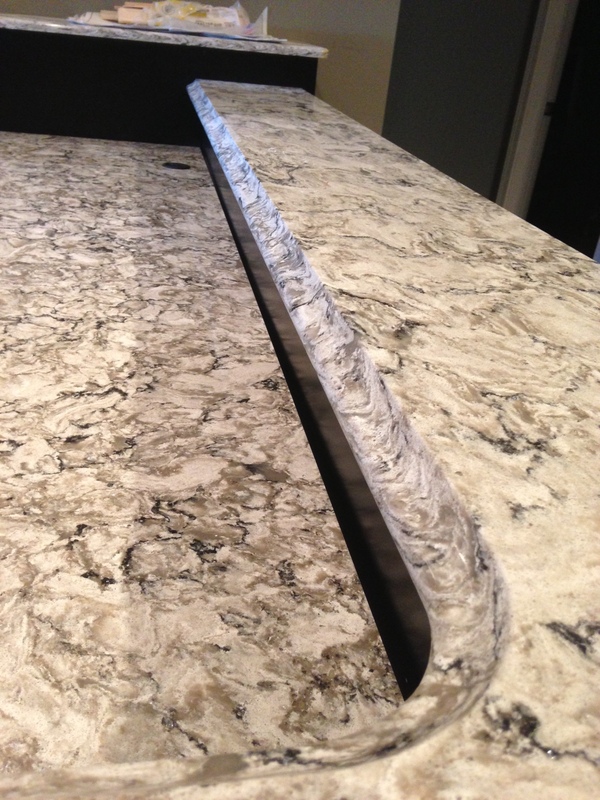 Besides beauty, the quartz gives the countertops extreme strength, making Quartz countertops highly scratch-resistant. Quartz countertops are made from crushed pure natural quartz and combined with a small amount of pigment and resin to create a slab of uncommon beauty and strength. 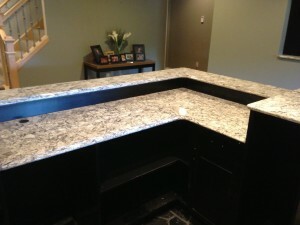 This combination of materials allows Quartz to be a dense, non-porous stone that delivers unsurpassed reliability and performance – scratch-resistance and stain-resistance with no sealing required in a large variety of naturally beautiful, consistant colors. 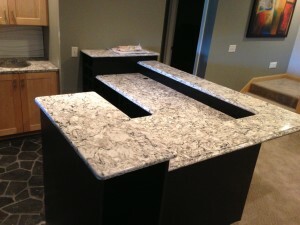 All 102 designs available at the Stone Center in Sioux Falls, SD.